Spend Your Summer In Union Square Park NYC! – Darnell TheNewsMan!! If you are looking for some activities to do with your family, friends or children you may want to head over to “Summer In The Square”. 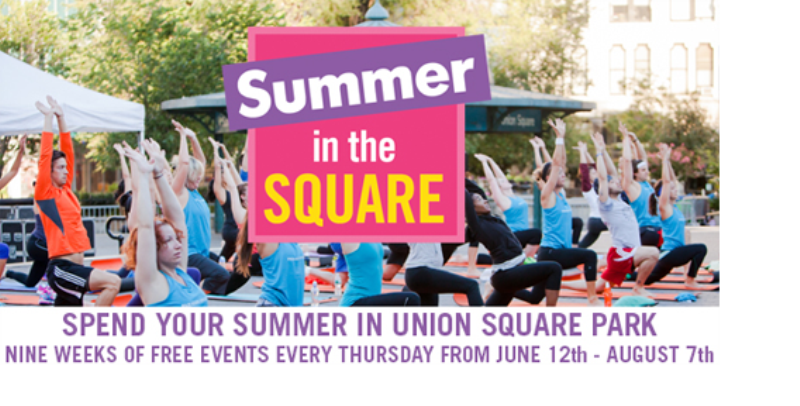 A free weekly entertainment series presented by the Union Square Partnership is returning for its 15th season, with an electrifying full day of fitness workouts including; cross fit, zumba, yoga, dance and also including children’s programming and performances for all ages every Thursday from June 12 through Aug. 7. All events are free. For a full schedule of the free events, visit the Union Square Partnership’s website. Swing Dance This Summer With Free Jazz Concerts In Brooklyn..